To begin this review, I would like to make the most important of declarations and acknowledge the Gadigal people of the Eora Nation as the traditional owners of the land on which this review was written; and would like to thank Narungga scholar, writer and poet Natalie Harkin for having assisted in the editorial process. 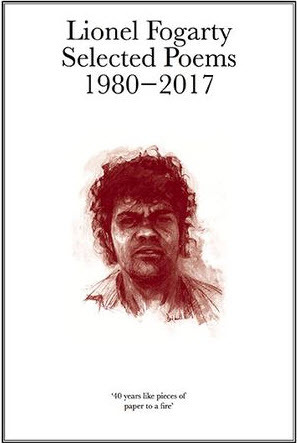 I would also like to acknowledge and pay respects to Lionel Fogarty, the Yoogum language group from South Brisbane, and the Kidjela people of North Queensland, whose inestimable linguistic, cultural and spiritual legacy is clear in Lionel Fogarty Selected Poems 1980-2017. The publication of this collection marks a retrospective moment for the Australian literary landscape. Lionel Fogarty, born in South Burnett in Southern Queensland, is a poet praised by John Kinsella as ‘the greatest living “Australian” poet’ (2013, 190). The controversial writer, Colin Johnston, also described Fogarty in 1990 as ‘Australia’s strongest poet of Aboriginality’ (26). (Colin Johnston is also known by the name of Mudrooroo, or Mudrooroo Narogin, an act that is seen by many as a misappropriation of the Nyoongar language.) I mention Johnston’s voice above many more fitting critics in this review to juxtapose Johnston’s and Fogarty’s fortunes in the last two decades as somewhat of a tragicomic mirror of the Australian literary landscape and our need to seek out an ‘authentic’ indigenous Australian voice. I write in heed of the deeply tenuous position Johnston occupies in Australian literature as explored by Anita Heiss in her book, Dhuuluu-Yala: To Talk Straight (2003). Heiss posits that from the time of Johnson publishing of Writing from the Fringe: A Study of Modern Aboriginal Literature in the early 1990s, ‘he was regarded as the authority on Aboriginal writing, and anything associated with it’ (4). When Johnston’s authority to speak on Indigenous Australian issues came under question in the years to come, the fallout regarding his lack of consultation and misappropriation caused an indelible impression upon our conception of indigeneity. Such debates over identity politics and cultural authenticity have changed how we read the work of Indigenous Australian writers – creating an obsessively objective distance that misleads us from the real conditions of writing, as well as obscuring the literary production of unabashedly indigenous voices. I would argue that this is certainly the case with regards to Lionel Fogarty, one of the most unrewarded and unrecognised figures in Australian and World Literature. 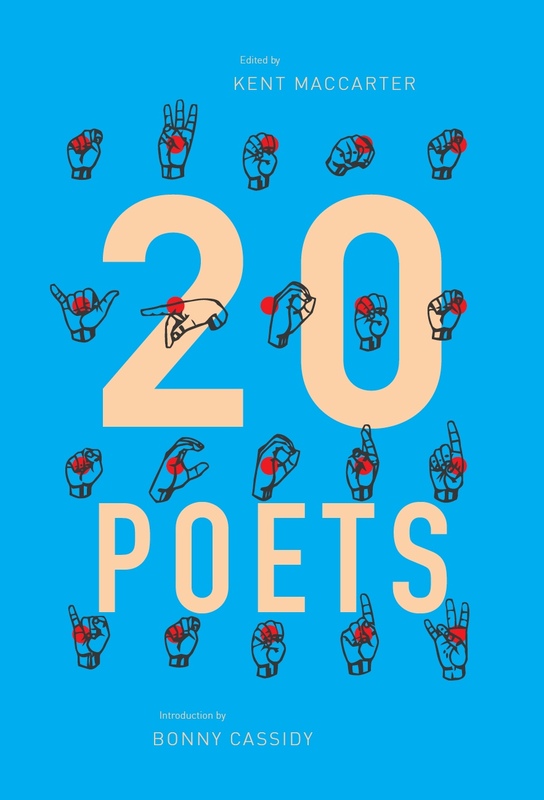 In Fogarty’s poem, ‘Finalist Unnamed’, a previously unpublished work included in this collection, he writes satirically of his omission from the ‘honour-roll’ of literary prizes: ‘My name is now the finalists unnamed? Ha’. The irony in these lines speaks to Fogarty’s imagined opposition to white Australian society, as well as his management of the distance between himself as an Indigenous Australian activist from the literary community. These seeming tensions reflect many of the frailties of the Australian literary landscape; the inability for indigeneity to be properly conceived of and read adequately in mainstream literary landscapes and markets, the literary-suicide of labelling oneself an ‘activist and poet’ to a wider Australian readership, and further, a lack of proper close engagement with Fogarty’s poems themselves. This review intends to grapple with these incongruities and signal, perhaps ambitiously, a trail that leads in to Fogarty’s nebulous, and yet, capacious collection. The editors, Philip Morrissey and Tyne Daile Sumner, have collated both published and previously unpublished poems. The latter have been edited and published with close involvement from Fogarty himself. In this manner, Fogarty’s involvement as a co-editor and poet answers Peter Minter’s call for ‘a renewed ethical and aesthetic architecture’ (2013, 157). The poems are ordered in distinct periods where Fogarty was said to be particularly prolific: 1980-1995, 2004-2012 and 2013-2017. While this periodisation of Fogarty’s works may run the risk of emphasising perpetually relevant concepts (such as deaths of Indigenous Australians while in police custody or political representation) within discrete periods of production (many of the themes, phrasings and poetic rhythms are returned to, after decades), this structure offers a chance of seeing Fogarty’s images and turns-of-phrase evolve. This is particularly true of the 1980-1995 poems, a period described as a ‘high point’ for Fogarty while working alongside one-time partner, co-editor and publisher, Cheryl Buchanan, of the Kooma Nation in South Queensland. Buchanan’s work as an editor and publisher is significant for this section. A leader in her own right, Buchanan almost single-handedly published Fogarty’s first volume of poetry, Kargun, in 1980, stating in the official launch of the Yoogum Yoogum collection in 1982, that no publisher wanted to touch such ‘heavy political material’ (n.p.). It was her belief in Fogarty’s revolutionary style of writing as speaking rather than writing that moulded these poems, laying the foundation for his future work. In the foreword to the Nguti collection published two years later (1984), Buchanan would state: ‘Lionel regards himself as “a speaker, not a writer”, and does not like to be categorised as a “poet”’ (n.p). This sense of frustration against the identity of a ‘writer’ pervades Fogarty’s earlier poems. That is not to say that Fogarty’s poems can be read as discrete, singular entities. For instance, the demands of activism that pervade his earlier work transform into renewed decolonial thinking in the areas of education, Trans-indigenous solidarity and the historicising of Indigenous Australian activism. In this way, Fogarty performs a metaphorical encircling of his own position, what the Martinican theorist Edouard Glissant described as a reconstituted echo or a spiral retelling’ (1997, 16) regarding his own returns to earlier works. Morrissey himself notes that in revising each of the poems into English for publication, ‘the selection process has been complicated by Fogarty’s habit of revising and recycling sections of poems’ (Morrissey 19). As readers, then, we are privy to the forming up of Fogarty’s oeuvre in real-time. Such a re-processing, a spiral retelling of language-events, makes this collection of poems doubly worthwhile. With my thousand words the dead woods are white dreams. Whistle the dead calls at morning night and depart away my spirit. Listen it’s time for me as a writer to die. Non-flowing rate of 3% per annum. Are departmental shrubs destroying the remade reports? Is every central country plain without pains? This pig said to me. Sign your death warrant, you son of a fucken moll. The crucially formative event of Fogarty’s adult activist life was the tragic death of his brother, Daniel Alfred Yock, a talented painter and dancer murdered under police custody in Redfern. This prompted some of Fogarty’s finest elegiac works, as well as some of his more charged political statements. Side by side, the 1995 poems ‘For Him I Died – Bupu Ngunda I love’ and ‘Murra Murra Gulandanilli- Waterhen’ can be read as a most profound expression of grief. 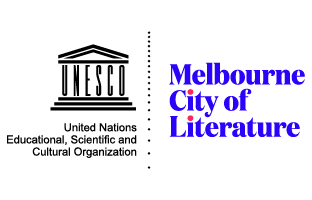 This entry was posted in BOOK REVIEWS and tagged Anita Heiss, Dashiell Moore, Gary Foley, Lionel Fogarty, Natalie Harkin, Philip Morrissey, Tyne Daile Sumner, Walter Mignolo. Bookmark the permalink. Dashiell Moore ia third year Ph.D. student and tutor at the University of Sydney. The title of his thesis is ‘A Relational Poetics: Rethinking Comparison’, which concerns a critical appraisal of comparative literary studies and the binds that eventuate for post-colonial writers. He has a wide range of scholarly interests, varying from Caribbean Studies, Indigenous Australian literature, post-9/11 poetics, and the intersection of baseball and popular culture.